Story: Russell Crowe's directorial debut is an epic and inspiring tale of one man's life-changing journey of discovery. 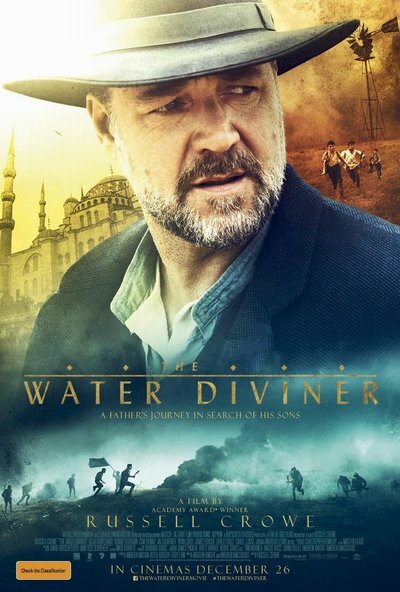 Crowe plays Australian farmer Joshua Connor, who, in 1919, goes in search of his three missing sons, last known to have fought against the Turks in the bloody Battle of Gallipoli. Arriving in Istanbul, he is thrust into a vastly different world, where he encounters others who have suffered their own losses in the conflict: Ayshe (Olga Kurylenko), a strikingly beautiful but guarded hotelier raising a child alone; her young, spirited son, Orhan (Dylan Georgiades), who finds a friend in Connor; and Major Hasan (Yilmaz Erdogan), a Turkish officer who fought against Connor's boys and who may be this father's only hope. With seemingly insurmountable obstacles in his path, Connor must travel across the battle-scarred Turkish landscape to find the truth...and his own peace.